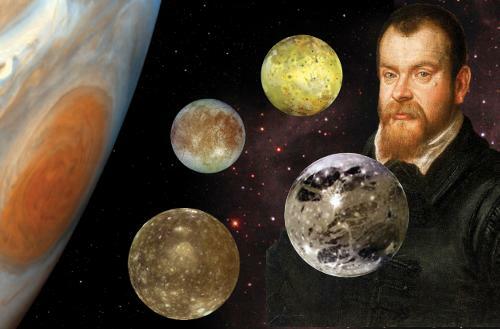 When Galileo said Earth revolves around the Sun, elite of old Rome promptly locked him up. “Heretic”, they cried and most people – the majority – agreed. Today, politicians and industrialists replace church but manipulation tactics remain the same. Courting power; castle clowns (celebrities) and castle prophets (scientists) are dispatched to ignite a mob. Crowds assemble and hit the digital streets, using insults and volume to intimidate opposition and whip up mass hysteria in social media and blog comment sections. New Roman slaves finish the kill: Journalists, no longer sustained by readers, attack foes of the owner who feeds them. Their pens, once proudly sharpened by facts, now dulled by sweeping generalizations about personalities and smarts of the subjects. Lies become truths because “everybody said so.” Consensus decides science and like in any true religion Galileo-style dissents are labelled deniers, accused of “hate speech” and isolated. I’ll use Global Warming to illustrate my point. I don’t have a dog in this game. 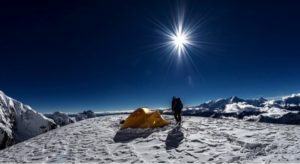 My energy consumption is fraction of the average simply due to my adventurous lifestyle. If anything, I should be all over global warming considering I partly live off selling batteries and solar panels. The reason I’m not is because this planet means more to me than money. Investing in one technology (or cause) depletes funds from another. “Green” tech remains inefficient but more importantly, the magnitude of the debate deflects from pressing matters hurting Earth. Yet everywhere you turn there it is. So why is global warming so much louder than deforestation, overfishing and pollution these days? Ice ages return on Earth every 100 000 years. No one knows why. For 15 years already, since reading up for my first Antarctica expedition, I’ve known that polar ice conditions are cyclical. Science even mentioned we may be entering a slight warming, which I was surprised why nobody talked about. A few years later I was startled to watch the issue completely blow up. And it reminded me of an old trick. Through human existence, oracles frequently used natural phenomena to manipulate people. 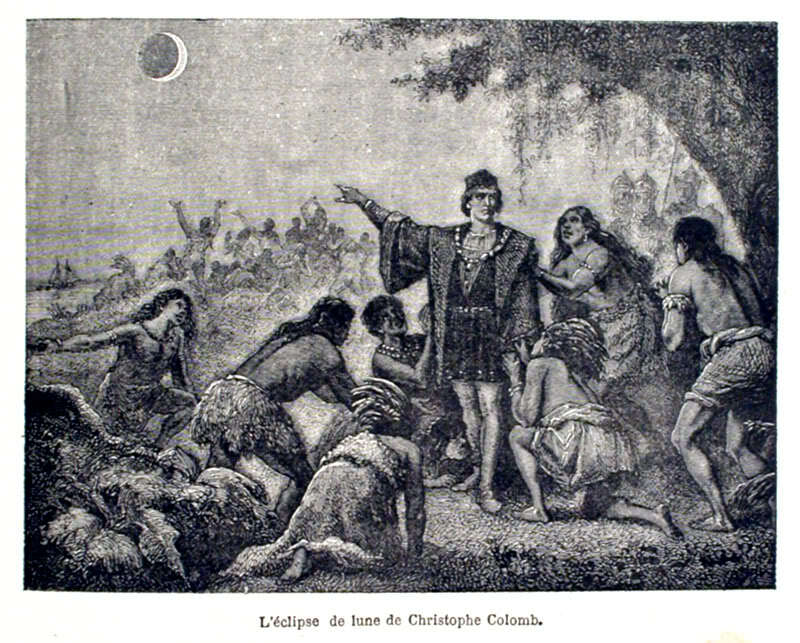 Even Columbus took to the astronomy almanac to game the Arawaks. Still today I’ve personally seen nature played by cult leaders of secretive villages in remote Amazon: Knowledge of returning comets and celestial eclipses are powerful persuaders. Changing climates are perfect – but for whom? Ask any cop: Following the money is a surefire strategy to dig out motifs and suspects. Right now, someone stands to make lots of it scarring the planet with battlefields of “green” tech. It would take whole continents covered with solar panels and wind turbines to produce the energy needed for 7 billion people (not a hoax as some naive efficiency estimates want you to believe.) Add to that all the peripherals; batteries, wiring, upgraded tech. Follow the money behind the biggest global warming voices and you’ll find pockets everywhere, especially in Silicon Valley where I spent most of my later years. The issue is ripe with inspired teachers shouting from their wallets, not to mention living far from what they preach. When North Pole explorers raise money to prove a warming planet I wonder why no one mentions that Cook and Nansen brought open boats to the Arctic with them already 100 years ago. 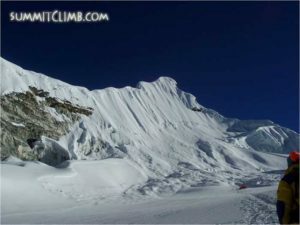 I watch people climb Everest behind hundreds of sherpa, ride icebreakers in the Arctic and fly gas-gobblers to Antarctica – to finance their trips in the name of global warming. 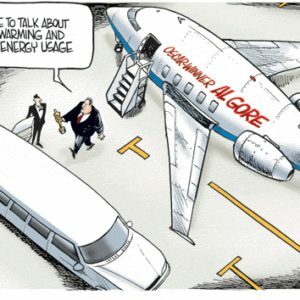 I don’t need to mention The King himself – Al Gore’s mansion and private jet have been widely covered. Global warming alarmists are not all hoaxers. Some are awesome exploration achievers, well meaning individuals, and my friends. But neither are trained statisticians. Meanwhile media and pundits have become master manipulators of data samples misrepresenting underlying facts. One who is good at math, Burt Rutan, the genius engineer behind SpaceShip One, on the contrary is underwhelmed (to put it mildly) by global warming data handled like sweets in a pick-your-own candy store. The time frames measured, the frivolous interpretations of events. Rutan points out we’ve been much warmer before, the biggest threat in our past was too little atmospheric carbon dioxide (CO2) almost wiping out all life. We have warmed much less in the last 150 years than most people realize (roughly 0.85 degrees Celsius) and interestingly less than last time around which could even be a bad thing – end effect of a warming planet is nicer climates for many and greener deserts. Most folks I tell never heard of this. Rutan is an engineer, not a priest. He is not in the business of believing or denying numbers. His planes either fly or crash. A practical doer and among the greatest innovators of our time; Rutan has no financial interest either way, has been working with aerodynamics all his life and in my world he deserves an ear. And here’s another one, Freeman Dyson – perhaps the smartest living physicist today (think Einstein). The climate and the C02 are changing alright, he says, as they always have. Do we contribute? Of course, so does cattle and everything else part of this planet. The error lies in deciding how much and what it will mean to us in 50 years. With the tools we have today we can at best predict the weather for the next 5 days, according to Dyson (and he even knows the guy who built the first forecast model). For anything beyond that, there are too many unknowns. Upending our planet on such information can be profitable for some but not necessarily a good thing for others. They are two guys though. Didn’t a boat-load of scientists sign a Global Warming paper? Follow your gut, not the herd, echo wise voices through humanity and all the way to space. I’ve previously mentioned ‘From Vinland to Mars’, a book by late veteran space-writer Richard S Lewis. In his amazing wrap of human exploration through an Apollo-era mindset, he too mentions global warming: 1970s style. Warming predicted. 50 years ago. From cues on another planet. What do I think then is causing the changing weather patterns on our and other planets? 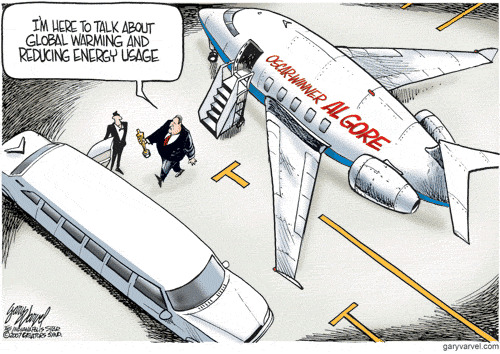 Carbon dioxide emissions? 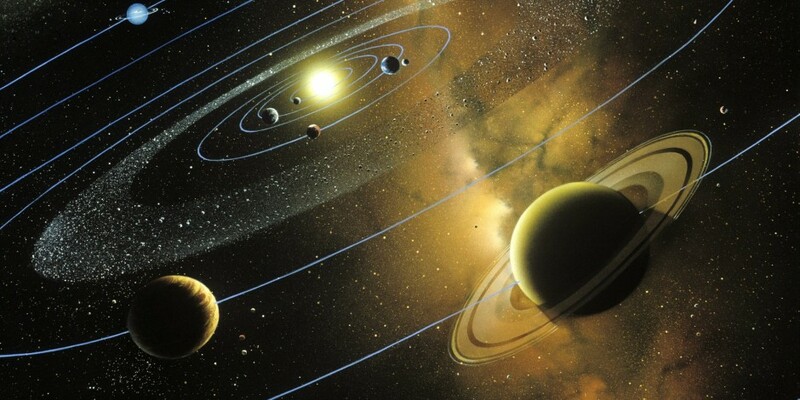 Tilt, wobble, eccentric orbits or a variable sun? All have been proposed. Honestly, I have no idea. And neither has anyone else. What surprises me instead, and angers me, is how long it has been considered an offense to even discuss the subject. And now to the actual point of this article, because it’s not global warming at all. 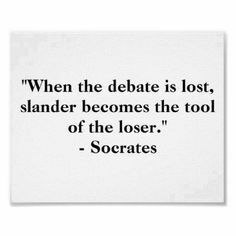 My point are bullies trying to intimidate opposition. This story is about my right to speak my mind. The elite always found efficient ways to hush voice. Socrates – who, by the way, said first sign of stupidity is rigidly thinking you know something – was forced to drink poison. 500 years later the library in Alexandria was burned to the ground. 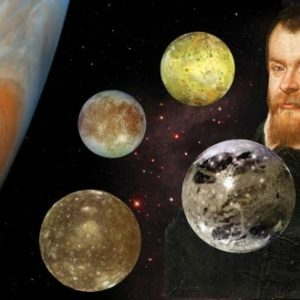 One thousand years after that, Galileo, perhaps the greatest scientist of all humanity, was locked up until his death. 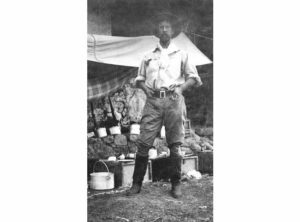 Fast forward another 400 years and another touchy subject: When in early 1900s Amundsen supported Cook’s claim of the North Pole, National Geographic (sponsoring Peary) promptly cancelled his speaking tour. Wherever you look, the examples are countless: Fake information spread and history written by the rich, opposition violently attacked by people in power and their adoring fans. In the 70s, “wrong” opinions shut closed academia money doors, today digital mobs and bought-off journalists engage in personality shaming wars. The assassination attempts on reason just won’t stop. Where crowds shout, I say caution. Faced with increasing evidence of shoddy data like the hockey stick, man-made global warming was rebranded ‘climate change’ and went away for a while. Now the issue has sneaked back, complete with children dispatched to sue the government. Fan of math (and SpaceShipOne) I remain unconvinced our planet will burn unless you buy mountains of my batteries and solar cells. Admirer of Socrates, I believe you have the right to disagree but remember we have been forced to eat our hat before. Today we nod and shake our heads at the wide-spread ignorance back in the day forcing bright minds to speak in code. Translation: Planetary climate change is a natural state affected by the sun. Ed note: Global warming enthusiasts love to label folks like me ‘planet haters’. For the record: My concerns are pollution, rainforest logging, overfishing, animal cruelty (for trophy hunt and cheap meat), and our wilderness being increasingly restricted to the people who love it most. Earth population growth has slowed since its peak in the late 1960s. Our problems are not caused by a shrinking planet but by greed, and easily remedied, if that’s what we choose. “Shop twice as expensive, but half as much,” my mother would preach. That, plus fusion, are my personal hopes for a thriving planet Earth. Finally, I wrote this story not to change minds but to support those thinking against the crowd. Hang in there, brave soul. Scroll top bar for bigger images. 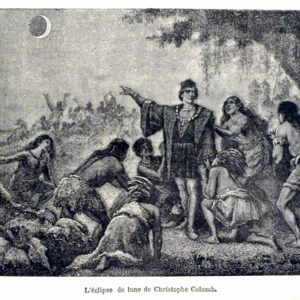 Knowledge is power already Columbus knew when he used his almanac to foretell Bad Moon rising and get his way with the Arawaks.